Virtual-reality has been taking home entertainment to a completely new level when it comes to gaming. It has also been pushing the limits of viewers’ experience. Watching live sports events in VR is becoming ever more popular. In the NBA 2016/2017 season, we have already seen the league officials teaming up with NextVR to provide live coverage and also VODs of about dozen games. Additionally, VR TV shows and movies shot with 3D 360 degree technology are becoming more and more prevalent. Therefore, a simple yet effective VR Video Players are now a necessity. Living up to its name, Simple VR Video player brings an easy and intuitive UI with emphasis on motion controllers, meaning it is keyboard & mouse free. You navigate the UI by simple pointing and dragging, customizing size of the screen and distance. While the main goal of the software is to enable the easy and enjoyable 3D/180/360 viewers’ experience for HTC Vive and Oculus Rift, at has two great advanced features that may enhance the overall impression. Super Sampling Resolutions provides higher quality and cleaner rendered images, and can be fine tuned in real time. Super Enhanced Mode, when enabled, uses an algorithm which enhances the details and contrast of the image, while retaining the quality. This will improve the sharpness and “realness” of images immensely. Bigscreen is a California-based company with an ambitious goal – make virtual-reality omnipresent while you are using your PC. It puts you in a virtual environment – a room, an office or a cinema, in which with motion controllers you use your computer on massive screens with the help of your motion controllers of choice. The app allows you to display whatever you want from your PC in whatever place or size you personally prefer. 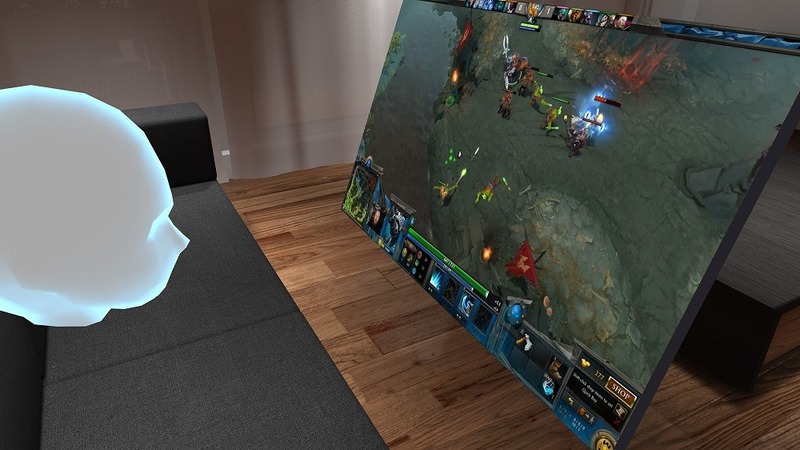 Basically, anything you do on your PC is made possible with Bigscreen. Besides watching movies, TV shows on Netflix or Youtube, you will also be able to socialize with other people in virtual worlds, be it a house, surrounding a campfire or even hanging out in the other space! 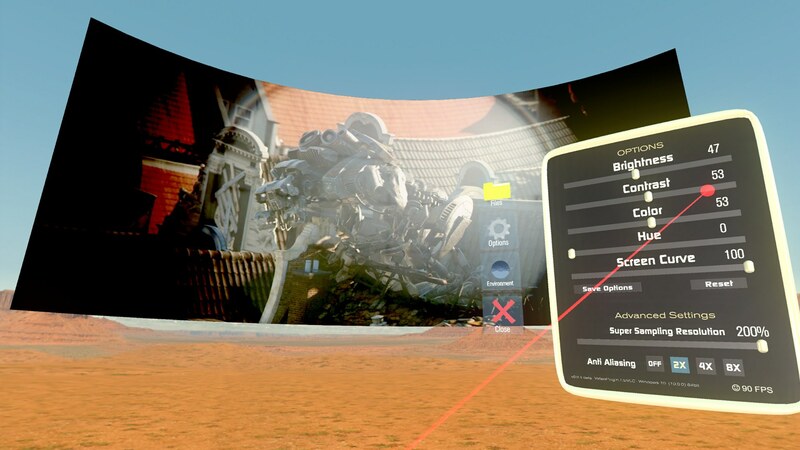 Bigscreen Beta supports cross-platform communication between Vive and Rift users, and the support for mobile VR headsets is under development as we speak. If you have an iOS phone, the app of choice for watching VR videos is Mobile VR Station, designed for virtual-reality with head tracking. While it offers a smooth watching experience, it has onemajor drawback. You can only transfer your VR content to your iPhone from iTunes, which means watching VR content from other sources like YouTube is impossible. In the field of VR, Samsung is miles ahead of Apple. 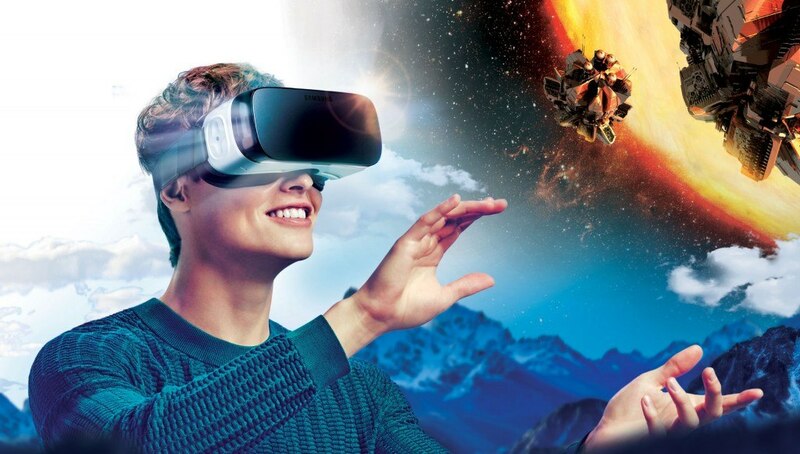 The Samsung VR app offers immersive 360 video content on daily basis, not only sports and movies action, but also some VR live concert experiences. If you don’t own Samsung’s GearVR, but you do have a Google Cardboard or some other cheap headset, VaR’s VR Video Player is probably the best choice for you, offering a good head tracking response and supporting all video modes. Next articleGetting a 3D Body Scan to Create Your Virtual Avatar?